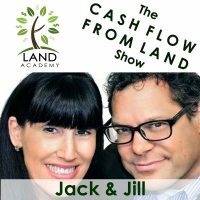 Steven Butala: Today, Jill and I talk about ZIP code red, yellow, and green tests that I came up with for infill lots. Jill DeWit: Yes. I’m excited. I’m really excited. Steven Butala: It’s exactly what it sounds like. You take a ZIP code. I’m going to use Mesa, Arizona for an example. Mesa is like the second largest city in Arizona. It’s a suburb of Phoenix, second to Phoenix. There’s, I think, eight ZIP codes. You take the free data from Redfin, or from Realtor.com, about all the statistical completed sales, active listings, all the real estate listed data from both the assessor and the MLS, and you pit each ZIP code against each other to find out where you’re going to send offers to owners, where the property’s moving the fastest or the days on market are the lowest. There’s a bunch of statistics. At the end, you yourself can red, green, or yellow where to send out mail so you can re-sell it fast and quickly. It removes a tremendous amount of risk on this. Jill and I have only started doing this … I came up with this crazy scheme because I found out the data was available, this year, 2018. Jill DeWit: … fill in all the gaps. Steven Butala: We’re buying property left and right. It works. We have not released it to the public, but we’re going to release it with Land Academy 2.0, our education program, and in January, if all goes right, House Academy. Before we get into it, let’s take a question posted by one of our members on the LandInvestors.com online community. It’s free. Steven Butala: Good question. Should you go, or should I? Jill DeWit: I think that would be … I’m going to dive right in. Steven Butala: All right, good. Steven Butala: Well, let me give a little bit of background for a new person in real estate. When you buy a piece of property, you send out a bunch of mail offers and some come back and you buy a piece of property. The most logical candidate to sell that property to is somebody who lives real close by or owns property very close by, and I agree with Jill. Why just send it to the five or six people that are right adjacent to that lot? Choose a radius, like a mile or so, and send it out. Steven Butala: You already have the data. Jill DeWit: I can’t remember what the percentage is, but there’s a percentage that you usually share about how many people traditionally buy homes in the area that they’re already there. Jill DeWit: Yeah, it’s pretty darn high. It’s kind of funny. You think that we’re all moving around, we’re moving cities over or states over. It’s very common that we’ve been wanting to upgrade. We love the neighborhood, we love the schools, we love everything about it, just to use houses as an example, but we need a little more room. And two blocks over, the newer version of our place with a pool is available. That’s where we’re moving. Steven Butala: 50% of the homes in this country are sold to friends and relatives of people that live within one mile of that home. That’s a government statistic. And 20% … This is unrelated but I can’t get over the stat … 20% of the people in this country move every year. Steven Butala: 20% of the population moves. That’s staggering. Jill DeWit: You’ve helped with that population over the last few years. I’m here to tell you. Steven Butala: Jill and I keep moving up in the world, quite honestly. We’ve been moving. Jill DeWit: Yes, you are. Steven Butala: I’m not the person who does that between the two of us. Jill DeWit: Oh, I don’t know. I think it’s 50/50. We’re going with that. Steven Butala: Today’s topic, the ZIP code red, yellow, and green test for infill lots. This is the meat of the show. Jill DeWit: This is one of the most brilliant things you have developed. Steven Butala: We’re in the cave right now. Steven Butala: Jill comes into the cave. Jill DeWit: … and discovered, “Oh my gosh, the data that’s available. Oh my goodness, look at this data that’s available.” I know you spent a tremendous amount of time understanding it, seeing what’s out there, what’s possible. I know you understand it, but just getting ahold of all the data that’s out there and then coming up with a way to manipulate that data to get the results that you needed to create … I don’t want to say too much because it’s yours. Steven Butala: Oh, that’s okay. Steven Butala: Jill, I would love to hear your perception. All kidding aside, I … Go ahead. Honestly, I want to hear this. Jill DeWit: I just think it’s brilliant. Well, you came up with a way to go, “All right, I have this information, that information, this information, that information. I know all of this is going to help me pick the very best county.” For example, days on market. I want that to be low. Offer price, the closest to the offer price. I want that to be high. You have all kinds of factors that you put in, and then you not only took it a step further that you’re like, “Okay, I know what I’m looking for when I look at it.” You took it a step further to … Can I keep going? Jill DeWit: Okay. To put this into a big spreadsheet. Oh, and then make all the numbers tie together. If this equals that, then this means this, and this makes this, and in the very end it spits out green, yellow, or red. Steven Butala: Makes it apples to apples. Yeah. Steven Butala: A long time ago we decided that. Steven Butala: It’s truly transparent. Jill DeWit: “… and watch what happens.” It’s like, wow. That’s what’s coming in Land Academy 2.0. That’s going to be really [crosstalk 00:08:14]. Steven Butala: And House Academy. Steven Butala: The three statistics primarily that I … Jill’s exactly right. It’s a whole system. Rather than getting into how the system works, you can take my word for it. The spreadsheeted part of transferring data to get where you can gauge it red, yellow, green, just trust me. When it’s all in there, you’re going to look at three statistics. Number one, days on market. You’re going to pit that statistic against all the other ZIP codes in a potential mailer candidate area, and you want the lowest one because that tells you that the velocity of property trading is fastest. Days on market, I shoot for 30. There’s people that define different counties and municipalities and MLSs define it differently, but lower’s always better. Let’s just say that. So if you’re looking at, let’s say, Mesa Arizona and the five or eight ZIP codes that are there, the lowest one’s better and you know that you’re comparing apples to apples because whatever that number is, they’re calculating it the same way in all five or eight ZIP codes. You also want to look at list to sold. Every month, a bunch of property gets listed in the MLS and every month a bunch of property gets sold. You want to make sure that more property’s getting sold than listed. That’s like apples to apples. Jill DeWit: Because inventory’s going down. Jill DeWit: Can you explain that a little bit further, please? Steven Butala: Sure. Let’s say there’s 1,000 properties in a given ZIP code, 1,000 pieces of land. Okay, you want to make sure that if you’re sending a land mailer out, just look at land. Then you need to look at how many properties are listed land properties. So it needs to be in the universe of land and properties that those 1,000, you need to have less than 1% which I think is 100, right? Steven Butala: 100 properties posted there, because in some markets there’s just too much property listed and the one that you buy and try to resell is going to get lost in an ocean of potential property. You’re making it harder on yourself. Jill DeWit: Yeah, it’s even 10. So 1% of 1,000 is 10. Steven Butala: I think it’s 100. Oh, 10%. Jill DeWit: Oh, you want 10%? Steven Butala: No, it’s right. You’re right. It’s 10. Steven Butala: You never see … A market of 1,000 pieces of property is too small. What you see realistically is 6,000 to 10,000. Jill DeWit: Let’s just say 10,000 properties in the ZIP code, let’s just say. So 100 of them are for sale. Steven Butala: Yes, that’s a good number. Jill DeWit: That’s a better number. Steven Butala: Less than 100 is what you want. Jill DeWit: Less than 100. Right. Jill DeWit: It’s a lot. Steven Butala: … the red, green, yellow test for infill lots, that’s it. We tested it and tested it and tested, and retested it live, and we always ended up buying property. Jill DeWit: It’s like you just found the cure for some big ailment is really what it is. Jill DeWit: Well, they’re not that smart. Steven Butala: Well, they will be now because it’s all available. Jill DeWit: I know. Thank you for sharing that. Steven Butala: Thank you, Jill. That’s a good compliment. Steven Butala: People just need a little nudge. That’s all. Steven Butala: When you come out. Jill DeWit: … when you come out of the bunker, it’s so valuable. Actually, here you’re in the attic. You come down from the attic. Steven Butala: It’s too [crosstalk 00:12:34]. Jill DeWit: Here you’re on the top floor and you have an ocean view. Steven Butala: Yeah, I know. Jill DeWit: It’s nice. I’m excited. I think we did a good job explaining it. Steven Butala: Well, you’ve done it again. You’ve spent another 15 minutes or so listening to the Land Academy Show. Join us next time, where we cover what to do if you’re data afraid. Jill DeWit: I am so … I know. Steven Butala: It’s hard to explain. Jill DeWit: Well, you know, it’s interesting. Steven Butala: It’s easy to show and hard to explain. Steven Butala: So could I.
Jill DeWit: … the excitement through the webinar of like, “Holy cow. What is that, and how can I get my hands on it?” It’s coming. Steven Butala: You know, I was just thinking. The value in all of this is in acquisitions. How much value, A, do people really need, and B, are we really interested in providing about sales? I guess this is a conversation we could have off the air, but in all seriousness, we’re acquisition experts. I mean, we truly rise to the tip top of this. We are teaching people … We should talk about this more on the air. 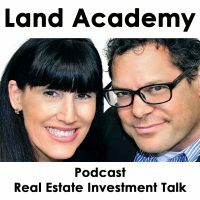 Steven Butala: We’re teaching people that have been in the real estate environment or in real estate as a career for their whole lives, and we’re teaching them to rethink how to buy property, commercial property. Jill DeWit: Exactly. Not sell it. Jill DeWit: Now figure out what to do with it. Steven Butala: “… take my hand and we’ll show you how to sell it too,” that shouldn’t even enter into the whole thing. Jill DeWit: It kind of doesn’t make sense when you think about it. You don’t go for one professor for the whole degree. Jill DeWit: There’s a reason why you have 12 or 15 classes in your MBA, or whatever it is. It’s not one, and it’s not one person teaching the whole thing. We have a math expert, we have an English expert, we have a business expert, we have a marketing expert. Steven Butala: In biology, even. Steven Butala: Some people are surgeons and some people are general practitioners. You don’t talk about both of them usually. Steven Butala: You specialize in something. Jill DeWit: That’s very true. Share the fun by subscribing on iTunes and YouTube. Steven Butala: I don’t know what that was. Steven Butala: I don’t know what the heck that was, but okay. I just said what was in my head. Jill DeWit: Oh, okay. And I’m doing that now too. While you’re at it, please rate us there. We’re Steve and Jill.